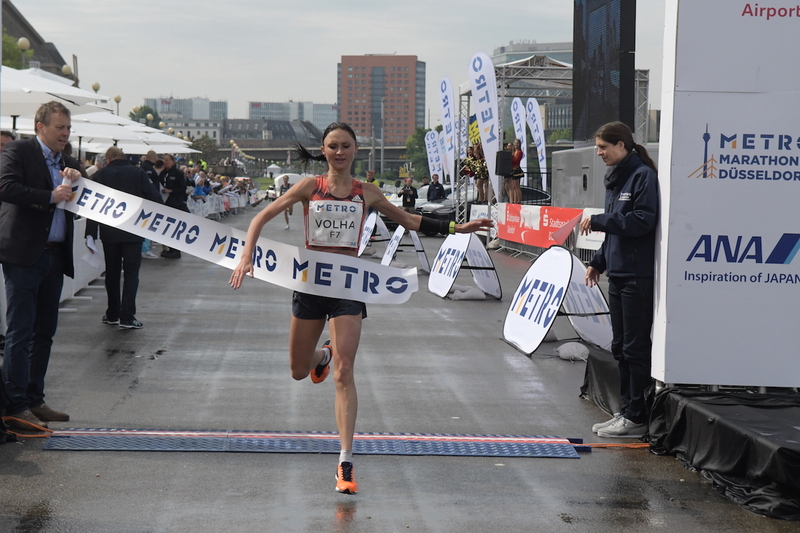 Volha Mazuronak produced the top performance at the METRO Marathon Düsseldorf as the Belorussian athlete ran a women’s course record of 2:25:25. 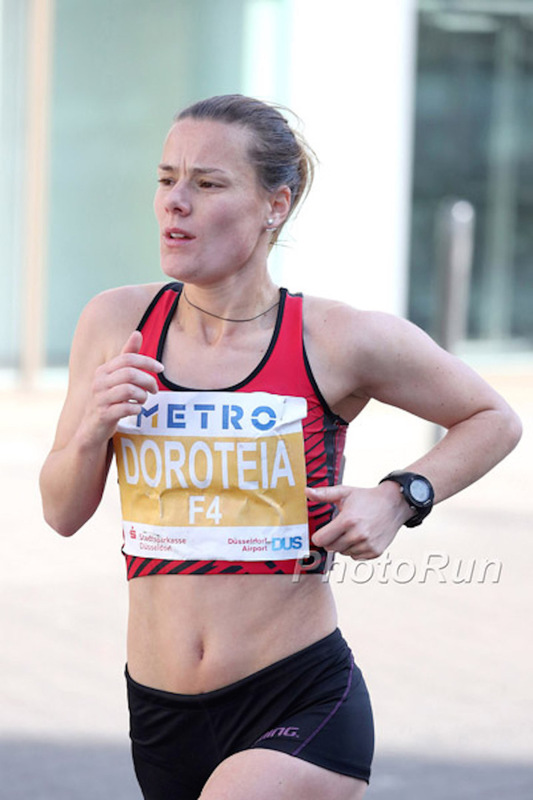 Mazuronak, the top European finisher in fifth place in the 2016 Olympic Marathon in Rio, dominated the race. The German runner Fabienne Amrhein was a surprise second placer, improving her best to 2:32:35. Her personal best was inside the team qualifying time for the European Championships in Berlin this summer. The Kenyan Rose Maru finished third in 2:33:55 with last year’s women’s champion Doroteia Peixoto Alves of Portugal fourth in 2:35:15. Mazuronak, who has been trained by Wolfgang Heinig since December and from time to time runs with the German steeplechase record holder Gesa Krause, ran the first half in 73:02. At this point she was just outside the course record of the Kenyan Agnes Jeruto, who ran 2:25:47 in 2012. The Belorussian, whose best is 2:23:54, then ran a negative split for the second half. “I’m very happy and delighted to have broken the course record with a faster second half,” said Mazuronak. She wants to run the 10,000m at the European Championships and a marathon in the autumn. “I’m delighted to have won my first German title,” said Fabienne Amrhein, who had double cause for celebration in also setting a personal best. The expected duel between her and Franziska Reng only lasted till 18 km. Franziska Reng then dropped out after she went off way too fast. 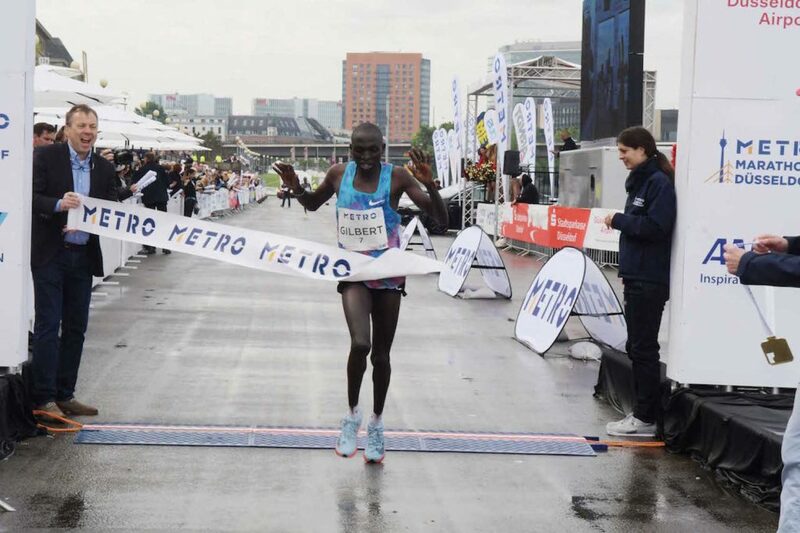 Gilbert Yegon won the second METRO Marathon Düsseldorf title of his career, following his victory in 2014. The Kenyan ran 2:13:55 but had the misfortune to be among the leading group which was sent off course after about eight kilometres, leaving them to run about one kilometre extra. 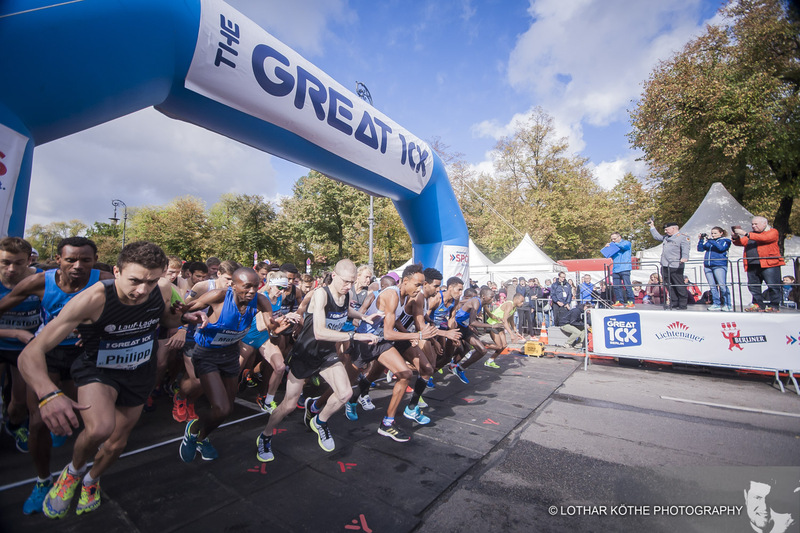 Richard Mutai continued the Kenyan dominance in second place with 2:14:08 and he also was among those who made an unintended detour. “I did not realise at first that we had been sent off course,” said Gilbert Yegon. He now plans to prepare for an autumn marathon would like to run in Frankfurt. 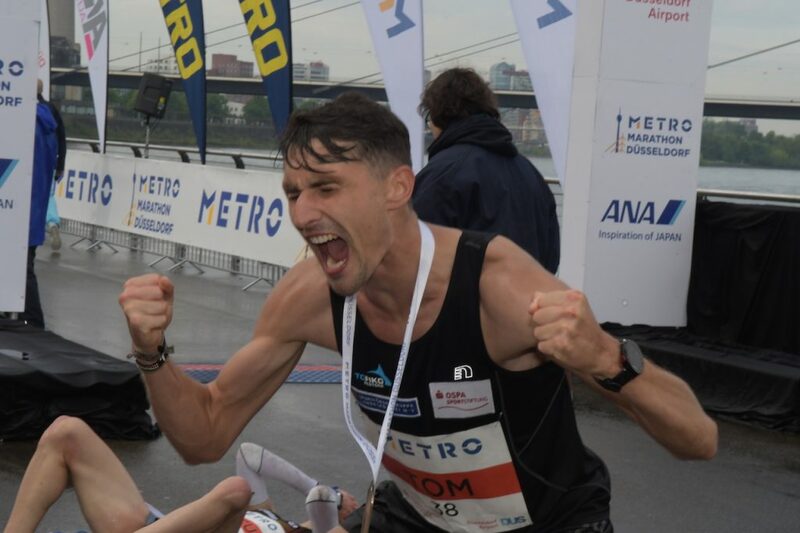 Tom Gröschel was an unexpected winner of the German men’s title on his marathon debut. He finished third overall in 2:15:20, overhauling Sebastian Reinwand with 1.5 k remaining. Reinwand was fourth in 2:15:27, Marcus Schöfisch fifth in 2:15:19, both setting personal bests. 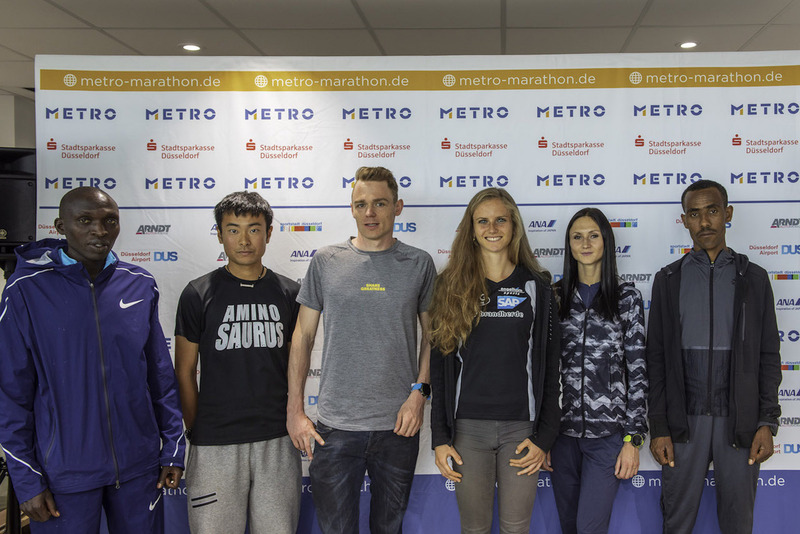 The day proved highly successful for the German men with Philipp Baar running 2:16:17 and Karsten Meier 2:16:26 on their debuts in sixth and seventh places respectively. This also ensured they finished inside the qualifying time for the European Championship Marathon team. 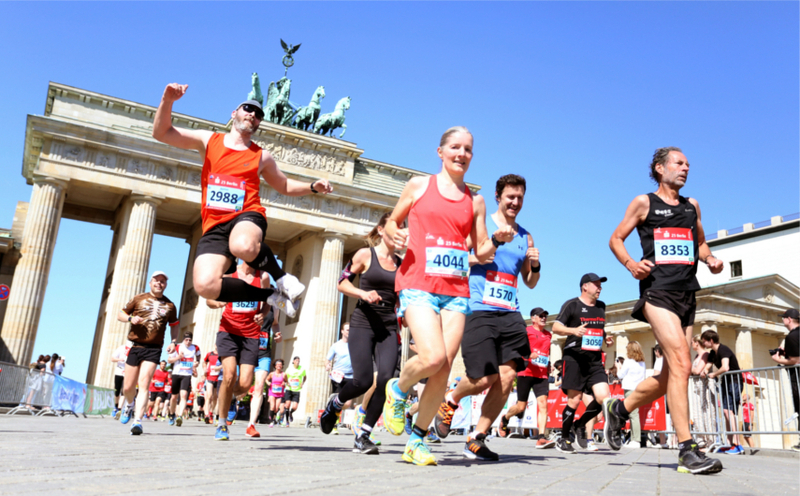 A maximum of six per team can be selected for the European Championships in Berlin In August. 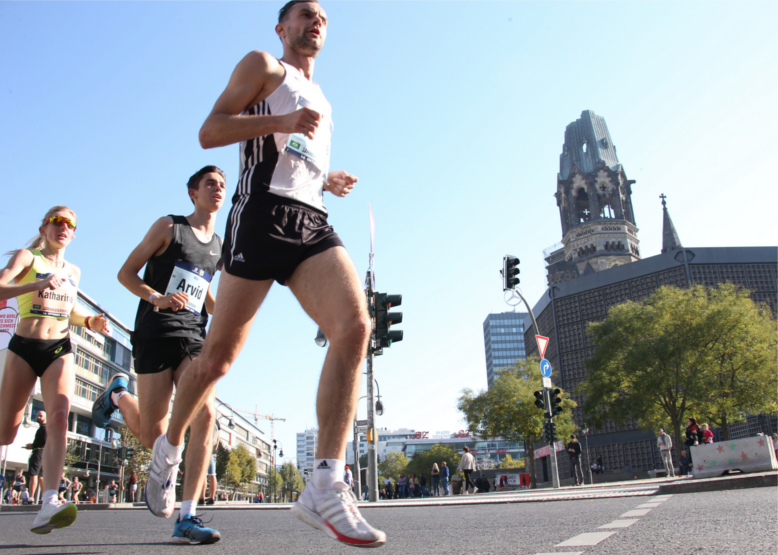 The 16th edition of the METRO Marathon Düsseldorf had a total of 16,000 runners registered for all its events with 3,700 on the start line for the Marathon.